1. Louisa BASSETT, daughter of Richard BASSETT of Glentworth (1744-1805) and Martha ARMITAGE ( - ), was born in 1787 in Glentworth. 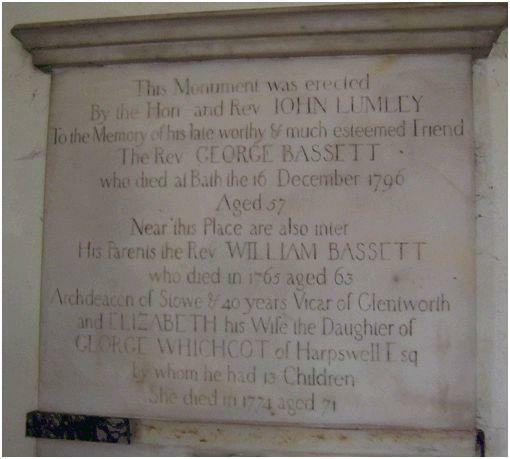 She was baptised on 7 July 1787 in Glentworth. She died in 1796 in Glentworth. She was buried on 24 November 1796 in Glentworth.